Ballinamore has a wide range of reasonably priced housing options. One of housing agencies is available in town and surrounding areas. Housing is available to buy or rent in fully finished, mature estates in the town. A number of apartment blocks provide for smaller domestic units. Trathnona provides affordable accommodation for senior citizens. Rehab Care provides an accomodation for disabled people. You can also apply for social houses in Ballinamore area. 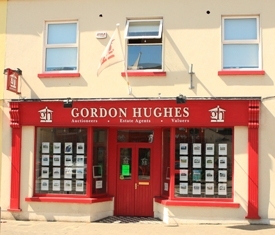 Gordon Hughes Estate Agents provides a wide range of services including: sales/lettings of residential/commercial property, property management of commercial/residential & retail developments & valuation work for probate purposes and various mortgage financial institutions. From 2017 Gordon Hughes Estate Agents and the sister office Fitzgerald Hughes in Ratoath, Co Meath cover the following counties: Cavan, Leitrim, Longford, Roscommon, Sligo, Dublin, Meath & Westmeath.